No one is too big or too small to shop at Mark’s we welcome the individual, large facilities and everyone in between. We have a 2.400 sq ft showroom loaded with Janitorial Supplies and Equipment. 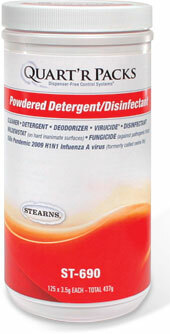 We feature chemicals by NCL, Misco, Core and now Stearns. Stearns is a great alternative to traditional packaging, storage and inventory control. Stearns gives you the ability to buy in bulk at a fraction of traditionally packaged chemicals. Microfiber, it is not the future, it is now! Many facilities are requiring commercial cleaners to use microfiber and microfiber mop systems. Cross contamination is virtually eliminated and the microfiber is guaranteed for 500 washings! C.P.I. is our featured microfiber vendor, with a full line of customizable carts , mops, buckets and accessories to suit the requirements of any contract you have. Yes, we also still have a large selection of traditional mops, brooms and carts for all everyday situations. If you need paper, soap and dispensers we have a warehouse full of whatever size, shape, grade or application you need. We feature several lines of professional, high grade paper and trash liner products..
Stop by or call in today, we want to earn your business!